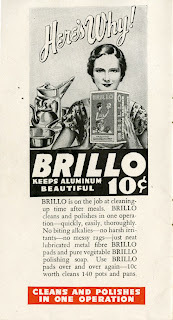 Of all the household products we could trust to help us divine our fate, I think we would all have to agree that the first choice would surely be BRILLO. 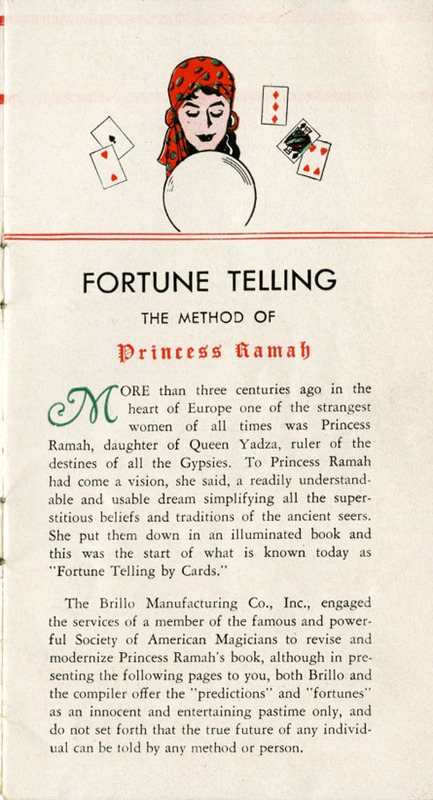 This Depression-era booklet spells out how a simple deck of cards can predict your future, which surely includes lots of time spent admiring your image in pots glowing with that high-gloss BRILLO shine. 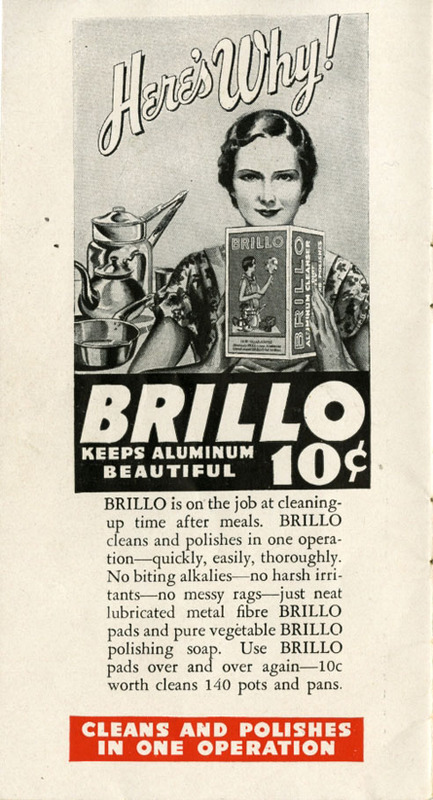 In the half-awake state that I found this article, I read the line in the ad below as "no biting alkies" and immediately had this image of 1930s era women forced to hire cranky alcoholic hoboes to do the heavy scrubbing of their pots -- before Brillo came along to save the day. 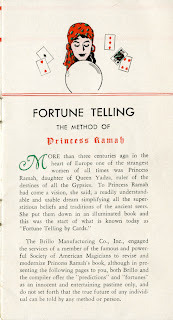 I believe I'll go make more coffee now.